Carbon fibre is the most preferred lightweight manufacturing material, and is increasingly becoming the material of choice for manufacturers around the world. Carbon fibre's?high tensile strength, low weight and low thermal expansion have opened a world of opportunities. Everyone from elite athletes, to car enthusiasts, to the makers of passenger jets, is moving to carbon fibre. 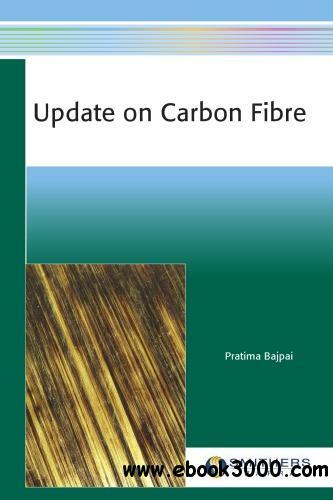 The objective of this book is to bring together available information on the production, properties, application and future of carbon fibres. This?book will be of interest to those involved in the investigation of carbon fibre, carbon-fibre manufacturers, and users of carbon fibres. A further objective is to review the status of carbon fibre-reinforced polymer (CFRP) recycling operations, focusing on state-of-the-art fibre reclamation and re-manufacturing processes, as well as the commercialisation and potential applications of recycled products. This book will also be of interest to those involved in the recycling of CFRP and manufacturing of composites from recycled CFRP. Students engaged in the fields of chemistry, material science and polymer science will also find this?title very useful.